Berkery Noyes Represents National Trade Productions In Sale Of Three Events To 1105 Media - Berkery, Noyes & Co., LLC. NEW YORK, NY – October 8, 2007 – Berkery Noyes, the leading independent investment bank serving the information, media and technology markets, announces that it represented Washington, DC-based National Trade Productions in its sale of three top-ranked public sector information technology trade shows to 1105 Media, Inc. Terms of the transaction were not disclosed. The three exhibitions are GovSec, serving the government security market; U.S. Law, reaching the law enforcement market; and READY, serving emergency preparedness professionals. All three acquired properties will join the 1105 Government Information Group, which includes the FOSE, Federal Computer Week (FCW), Government Computer News (GCN), Washington Technology, Defense Systems, and Government Health IT brands. Berkery Noyes initiated the transaction and acted as financial advisor on behalf of National Trade Productions, Inc. 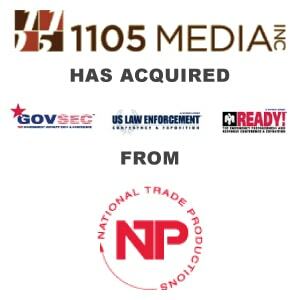 This is the second transaction with 1105 Media handled by Thomas in the past ten months. In December 2006, she represented Fawcette Technical Publications, a publisher of print and online resources and producer of conference and event activities, in its sale to 1105 Media. Based in New York City, Berkery Noyes provides strategic mergers and acquisitions transaction advisory services, financial consulting and strategic research to middle-market information, media and technology companies in the United States and internationally. For more information, visit www.berkerynoyes.com. About National Trade Productions, Inc.
Based near Washington, DC, NTP is a leading tradeshow and event manager, having produced association-owned and proprietary events for over thirty years. In addition, the company operates its Creative Solutions Group, an in-house design agency. NTP currently manages more than a dozen major industry events, including three listed in the TSW Top 200 largest events. For more information, visit www.ntpshow.com.